Selecting the best computing solutions within K-12 education can be a challenge with so many uses and options available. This use case guide takes into consideration the specific needs within K-12 education environments. Whether seeking the best fit devices for STEM labs, looking to create interactive learning spaces, or fulfilling the design needs of today’s interactive classrooms, the uses are varied and there is not a one size fits all approach. Download this guide to learn how the computing choices made can facilitate the teaching and learning environments via the Dell™ OptiPlex™ family of devices. 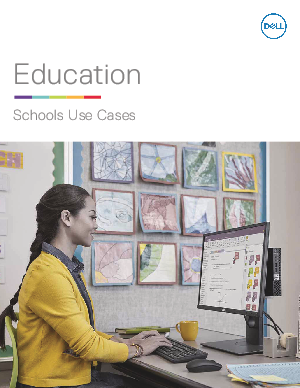 Learn which solutions are recommended for different use cases within the K-12 education world.